There's more high stakes poker action at poker rooms on Boss Media’s IPN poker network this month. The network’s second €1 Million Guaranteed Tournament took place yesterday and in more tournament action this week €75K will be awarded at three special Sit & Go tournaments. The buy-in for the €1 Million Guaranteed Tournament was €1050. However, similar to the first €1 Million Guarantee Tournament last December, players could also secure a seat by winning one of the €3.30 satellites held daily until the th final where the winner was guaranteed €200,000. This week, International Poker Network (IPN) sites will be giving away €75,000 in prize money to players in three different Sit & Go Leaderboards, one for each level of player. Between May 11th & 17th, three Sit & Go Races are scheduled: the €40k Gold SnG (€30 buy-in, €40,000 prize pool), the €25k Silver SnG (€15 buy-in, €25,000 prize pool) and the €10k Bronze SnG (€5 buy-in, €10,000 prize pool). Points will be awarded to the top three places in each Sit & Go. Prizes will be awarded to the top 50 players in each level. The IPN, which recently celebrated its three-millionth member, is Europe’s largest independent online poker network and includes such leading brands as Virgin Poker, CelebPoker, Casino Club Poker, Poker Heaven, Yahoo, BetClick and Paradise Poker. Through a strategic alliance with CryptoLogic Limited, Boss Media recently expanded the International Poker Network to add Extreme Poker, Classic Poker, Opoker, DTD Poker, BetJacks, InterPoker and ParBet. 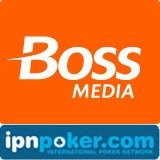 Boss Media and the International Poker Network, together with Finsoft, St Minver, and Dynamite Idea, form GTECH’s New Media & Sports Betting Co. which provides white label services and technology to customers operating interactive poker, casino, bingo, skill as well as lottery games, sports betting, and regulated multi-jurisdictional games. These will include new professional services such as risk management, player relationship management, fraud prevention, responsible gaming, and community functions. The International Poker Network features Boss Media’s fast, easy to play No Limit, Pot Limit and Fixed Limit Texas Hold'em, Omaha, Stud & Draw poker in more languages and currencies than any other. The network also offers freerolls, guaranteed tournaments, tournaments with added prize money and satellites to live tournaments around the world. Every night IPN poker rooms host a €25,000 Guaranteed Tournament and every Sunday night guarantee there will be €100,000 in the prize pool.